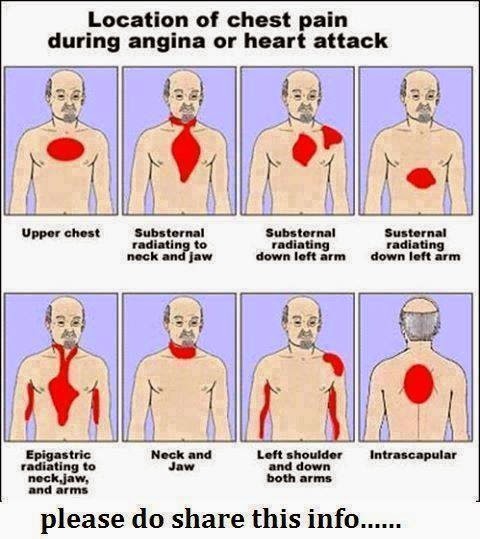 If you have chest pain ... do not panic and press the panic button instantly. Look at this chart and identify the problematic spot(s). I love to munch, the stalks of celery plant from time to time. Not much people would favor its taste, for fear of its scent affecting one's breath. The best way to enjoy its wide range of health benefits is to extract its juices and drink instantly. Best, is to add alongside with other range of fruits too. Since the good old days, most people would drink celery juices to fight off cancerous growth of tumors (a); to lower blood pressure (b) and cholesterol levels (c); and also to improve digestion and calm the nervous system. It is said to have high levels of Vitamins A & B, including a good source of important minerals, as well as folic acid, amino acids and essential oils. 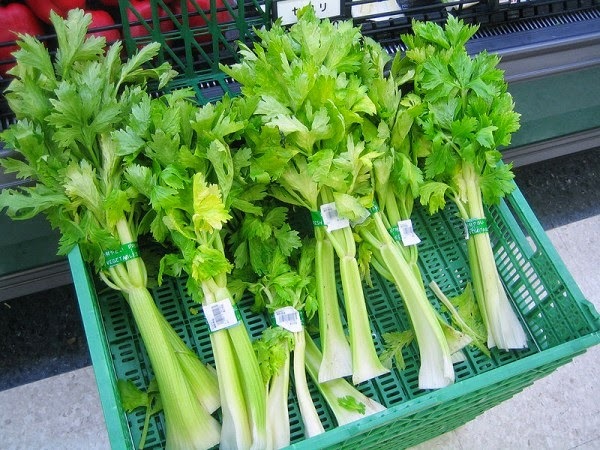 (a) Celery juice is generally accepted for prevention of cancer, as it contains effective cancer-fighting compounds. Such compounds are believed to prevent the proliferation of cancer cells, namely; coumarin (which stops free-radicals from destroying cells and is best to guard against stomach and colon cancers). (b) Celery juice was initially discovered and used by the early Chinese, who recognized that phtalides in celery, helped to relax those muscles surrounding the arteries, and also dilate the vessels. This compound permits the smooth flowing of blood. Phtalide is also believed to reduce stress and thus, will provide relief for one's blood pressures. (c) Celery juice can reduce one's cholesterol levels (especially LDL), because of the presence of the butyl phthalide chemical. It is said that, by drinking the juice from 2 stalks a day, should keep your doctor away. This juice also increases the secretion of bile acid and thus, helping greatly to decrease one's cholesterol levels. Regular intake will also further improve one's digestion and bowel movement consistency. It is equally good as a natural hydrating beverage and its diuretic ability will help to flush waste (toxic and prevention of stones growth) from the body. Most elderly people does find big relief in their constipation problems after constant drinking of celery juices. They used it as a natural laxative which is soothing to their digestive system. Generally, celery juice provides a good source of potassium, magnesium, calcium, iron, and sodium. These are good for our muscles, tendons and tissues development too. Often, when preparing to extract such juice, I would also add a range of other supporting fruits namely; red carrot, orange, green apple & tomato. Just a piece of each, will provide easily 2 glasses of a perfect drink. Some people with diabetes will add 1/2 of a whole bitter gourd. And to cool one's body temperature (old tradition), some might also add in 1/2 of a cucumber. However, the choices of additional fruits or vegetables, depend on individuals.